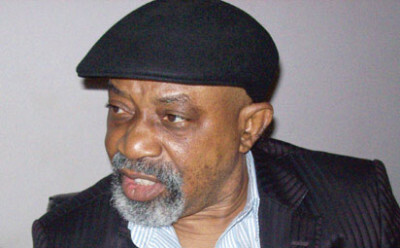 Minister of Labour and Employment Chris Ngige has said the government directed the banks to stop terminating the appointment of their staff to ensure industrial peace in the sector. The minister dismissed the impression that the government was interfering in the running of private businesses in the country, adding that the nation’s constitution and labour laws allow the him to intervene in such disputes to ensure harmony in the system. Speaking at a public hearing organised by the Senate Committee on Banking and Finance, the minister said denied claims that he threatened to withdraw the licenses of banks, pointing out that what he only did was to direct all parties in the emerging disputes to maintain statuesque, while opting for dialogue. He said the government was in receipt of petitions from the unions in the Financial sector which border on unwholesome practices, the height of which was mindless retrenchment as the immediate reason for his intervention, directing all the parties; the bank employers and the unions to maintain the statuesque ante-bellum. He said: “We are not interfering in their business. They are there to make money and protect their investments and nobody is against this. But don’t forget that individual Nigerians are also investors in these banks. So they are not the only investors. I have my own shares in these banks and they pay me dividends, which I am pleased with. “However, I will not be party to drawing dividends on the blood of helpless Nigerians. The banks can save some of these low cadre jobs by re-adjusting the heavy perks at its top management cadre. We pleaded same with the major oil companies and it worked. “We intervened in the spirit of collective bargaining. We got petitions from NUBIFE on casualization, contract staffing, poor remunerations which is not in conformity with equal work, equal pay in our constitution, ill human conditions of service, rampant termination without due compensation and resistance to unionization contrary to section 40 of the constitution. “We investigated these claims and found them to be true in some banks. We invited the concerned banks; they gave excuses on why they won’t honour the invitation while they continued with retrenchments. “I know my rights as Minister of labour and I will exercise those rights for the benefits of Nigerians, high and low. It is within my power to declare a truce in any industrial crisis. That was why I asked the banks; don’t retrench further and the unions; don’t picket the banks so we can sit down to resolve the issues. The labour law on redundancy says in article 20 that if you negotiate redundancy and a party is dissatisfied, the Minister has the right to intervene. “The law makes provision for the employer to disengage a worker if he cannot actually run his enterprise efficiently and effectively with a big load of staff in which case, he will declare redundancy. He said the constitution and the labour laws as well as to safeguard the interests of all parties while ensuring peaceful industrial milieu for enhanced productivity in the sector. “The constitution is the supreme law of the land. The constitution is aware that we are in a society where all of us will not be equal and that everybody must be protected – big and small. That is why in sections 14, 15 and 16 and even 17, it protects the employer, the economy and the workers. Speaking on unionization in the banks, the Minister said the only institution in the Financial sector where staff are exempted from unionization is the Central Bank and that no other bank in the country had the right to prevent its staff from forming a union. “Unionization according to the constitution and labour laws is the right of workers. There are exemptions and the institutions that are exempted are clearly listed. Here, it is only the Central Bank that is exempted in the banking sector. And the law says again that the Minister of labour in his wisdom can grant a waiver to any institution. I have not granted waver to any bank and I will not grant such”. The Chairman of the Senate Committee on Banking and Finance, Senator Rafiu Ibrahim, hailed the minister for his proactive intervention and gave firm support to his decision on dialogue with all social partners as the only option to the peaceful resolution of the industrial disagreement in the sector. “I sincerely commend the federal government for being willing to work with the banks to find a common solution to this issue of retrenchment, which affects almost every family in Nigeria. I am grateful that all of us have all agreed to dialogue and I implore you to do justice to all issues before the stakeholders’ summit is convened in July. I therefore appeal to everybody to be humble and to be open in our different positions at the talks”.